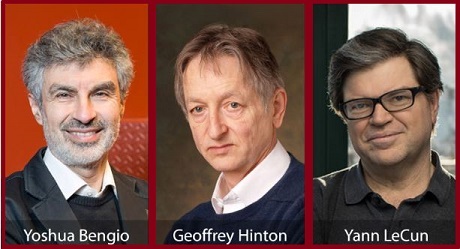 The three initiators of Artificial Intelligence (AI), Yoshua Bengio, Geoffrey Hinton, and Yann LeCun were on 28 March 2019 awarded with the 2018 ACM A.M. Turing Award-2018. All the three winners awarded the award for conceptual and engineering breakthroughs that have made deep neural networks a critical component of computing. Such AI is increasingly used in products that people use every day – from smart speakers to Facebook. This forms the backbone of Deep Learning. All the three winners will share the USD 1 million prize money. The ACM A.M. Turing Award was introduced in 1966. Turing Award is recognized as the highest distinction in computer science and is often referred to as the “Nobel Prize of computing”. The first recipient of the award was Alan Perlis. The first female recipient was Frances E. Allen, who was honoured in 2006.